An unrestored section of the former union workhouse at Donaghmore, County Laois. As with the majority of such buildings erected across the country from 1839 onwards, this one was designed by George Wilkinson, although the earlier neo-Tudor style he employed had long since been abandoned by the time work started here. Completed in September 1853, the project cost £4,750 with a further £775 spent on fittings. By the time it opened, the Great Famine had ended and thereafter workhouses gradually fell out of use: this one closed in 1886. For much of the last century the premises were used by local farmers for the Donaghmore Co-Operative Society. More recently a front portion of the site has been converted into a museum. Given their association with the terrible years of famine in the 1840s, workhouses in Ireland have few admirers. Yet it is often not realised that they followed a model already introduced in Wales and England where 350 such premises were constructed in the mid-1830s. George Wilkinson was responsible for the design of some of these buildings and following the introduction of legislation in 1838 Ireland’s Poor Law Commissioners appointed him their architect, requesting he devise plans for 130 workhouses here. There is a certain generic quality to Wilkinson’s work, reliant on an interpretation of the Tudor domestic idiom which gives the resultant properties a gentle appearance at odds with their purpose. But they are often handsome, sturdily-constructed buildings and, where still standing, have proven capable of adaption for alternative use. 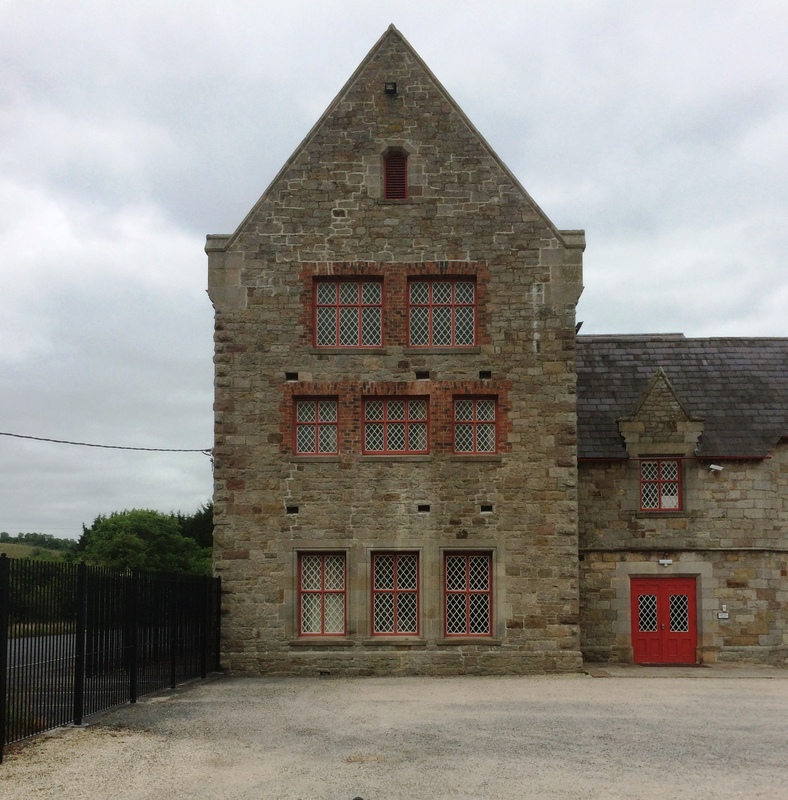 Such is the case in Carrickmacross, County Monaghan where the main block of the old workhouse – completed in 1842 at a cost of £5,000 (plus £977 for fittings) – was restored in 2002 and now provides premises for a variety of local social and educational groups.